Use Amazon Look Inside! facility. No existing user-authentication approaches provide universally strong user authentication, while also taking into account the human factors of good security design. A reevaluation is therefore vitally necessary to ensure user authentication is relevant, usable, secure and ubiquitous. This groundbreaking text/reference examines the problem of user authentication from a completely new viewpoint. 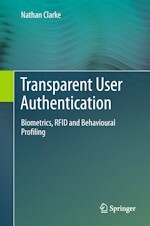 Rather than describing the requirements, technologies and implementation issues of designing point-of-entry authentication, the book introduces and investigates the technological requirements of implementing transparent user authentication – where authentication credentials are captured during a user’s normal interaction with a system. This approach would transform user authentication from a binary point-of-entry decision to a continuous identity confidence measure.